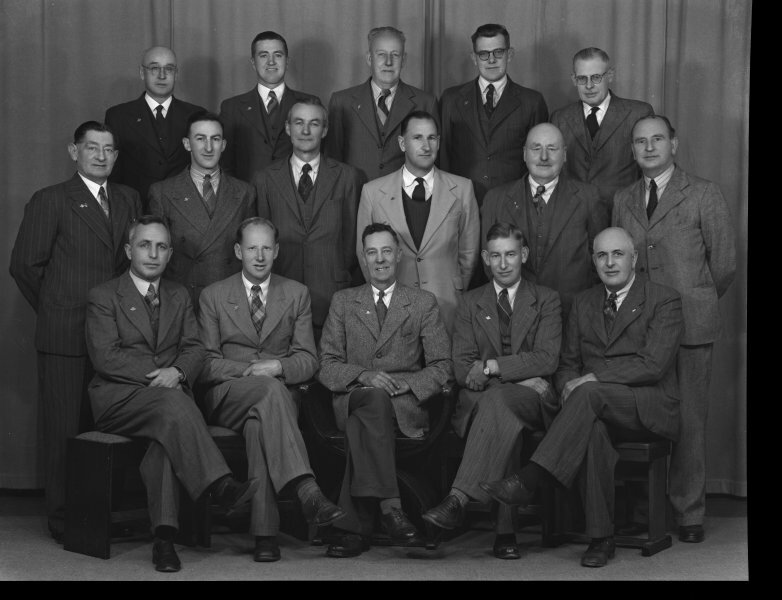 RSA Executive 1952. The only names so far identified are as follows; Left to right, Middle; number 5 Frank Parker. Front; number 4 Athel Hood. Information from photographer Gordon McCusker's index book (see Notes), and from Archives Staff.